Enjoy a chronological visit to discover the Museum’s collections. 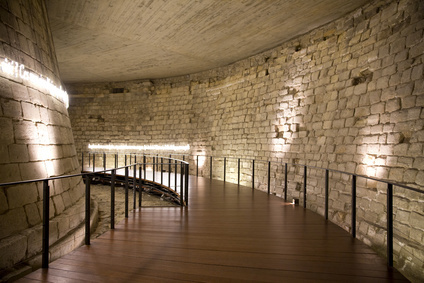 You will first visit the medieval fortress buit in the 12th century, then the Royal Residence of the French Kings until Louis the XIV, and finally the museum which opened its doors on the 10th of August 1793. No waiting – save some time ! 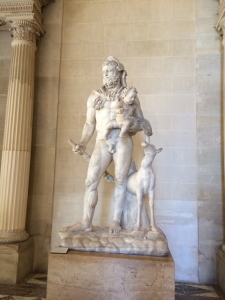 On this half-day tour, you will enjoy a private visit of the Louvre, the most famous museum in the world. Your guide will share with you his knowledge and experience, and lead you to the best places in the museum. This introductory tour is the best option for a first visit, since it gives you an overview of the Museum’s most famous works. After meeting your guide near the museum, you will begin your tour with the discovery of the Glass Pyramid commissioned by the President of France François Mitterrand in 1984 and designed by the chinese american architect I. M. Pei. Your guide will qive you a complete introduction under the glass pyramid and you will then discuss with him your wishes for the tour. He will create a personalised itinerary for you, catering to your desires. Our guide loves to take some time before starting the tour, in order to better understand your expectations. Thanks to your guide, you will skip the long lines at the Museum’s entrance and you will see all the highlights of the Louvre. Then, you will follow your guide in the Sully Entrance with the discovery of the foundations of the Medieval Louvre discovered in 1984. More than eight hundred years ago, the French King, Philippe Auguste, ordered the construction of the Louvre stronghold on the right bank of the River Seine. The Louvre, which began life as a military fortress, was soon turned into a luxurious royal residence by King Charles V and his successors. Explore the residence of the French Kings and discover the Henri II staircase, the Renaissance Salle des Caryatides on the ground floor before entering the splendid Apollo Gallery. Architectural work was entrusted to Louis Le Vau, who carried out reconstruction activities between 1661 and 1663, while Charles Le Brun was assigned responsibility for decorations by Colbert. The sculptor François Girardon was responsible for the stucco sculptures. 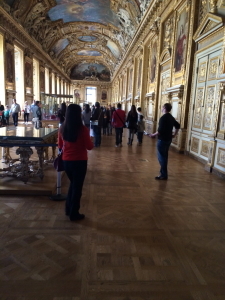 This was the first Royal Gallery for Louis XIV, which served as a model for the Hall of Mirrors of the Palace of Versailles. It is now time to enjoy the Greek section where you will see the Venus de Milo, and some original sculptures of the Parthenon. Following this, you will discover the Victory of Samothrace, the frescoes of Botticelli, the Wedding at Cana by Veronese, the Mona Lisa by Leonardo Da Vinci, the Coronation of Napoleon by David, the Raft of the Medusa by Géricault, the Liberty leading the People by Delacroix, the Michelangelo’s slaves and Psyche revived by Cupid’s kiss by Antonio Canova. Tour ends at the museum. Tickets to the museum are not included. Design your own customized tour by building on an existing tour itinerary or creating your own. We’ll help you design your own tour, whether that means coordinating your visit around a special event or adding excursions exclusively. 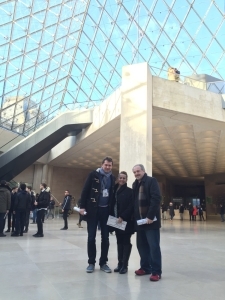 To create your own itinerary email us at steeve@theamericansinparis.com. We will process your request and get back to you shortly. Thank you.